Your Mouse Can Save the World! Raising donations for a worthy cause by simply clicking buttons and banners is such an appealing idea that click-to-donate sites have multipled almost as fast as dot coms. Like dot coms, however, not all click-to-donate sites stay "in business" -- if sponsors don't get action from the site, they don't sponsor it; if there are no sponsors, there are no donations; after awhile, there's no site. There are several directories of click-to-donate sites, but because of the high turnover, each has bad links. Some sites are listed as free-donation sites that aren't. Each bad link you click on is one less click that could have been generating a donation. Also because of high turnover, each is missing some current sites. It's understandable -- this page took one manic 12-hours-at-the-computer research session to generate and I've had to update it every day since. But as of November 1, 2002 every link on this page is current. Moreover, each opens in a new window. As soon as you have completed the action on one site, you can close that window and, if you have some more time to donate, pick another click-to-donate site. You can also pop up the Against Hunger surfbar and click for more donations as you surf. Note: Some click-to-donate sites require registration in order for your clicks to count. Some require cookies to be turned on for your clicks to count. Some offer to track your donations if you register, or increase them if you register. I flag such sites, when I know, because some people may choose to avoid them for reasons of privacy. I have not included charities whose sole purpose is to promote a particular religion, although I do list religious charities that do humanitarian services. A religious site that provides a unique service, however, lets you browse and search the scriptures of many world religions online. The most bang for the click: 25 cents, $1, or more. At least a nickel a click. Charity Check - Lists and evaluates click-to-donate sites by legitimacy, site quality and aesthetics. QuickDonations.com - Tons of charities, well-organized, easy to surf. Highest-impact sites, where your click counts for most, are listed up front. Yahoo! Clubs thehungersiteclub - For discussion of online philanthropy. One way to stay up-to-date on click-to-give sites. DonationJunction - A framed directory of click-to-donate sites that displays how many times each has been clicked, ranking the sites by popularity. Aid for Teens - Helping teens in trouble get off the street. You can donate multiple times in one day. Also lists facts about teenage homelessness. Requires registration for your donations to be tracked (displayed to you) but not for them to be registered. Against Hunger - Many ways to donate. Breast Cancer Site, The - Just click to donate free mammograms, or shop at sponsoring merchant sites and a portion of the purchase goes towards the cause. Registering for a newsletter raises another donation. Build A School - Donate toward scholarships and building schools. Build Me a Home - Donate bricks to build a home for a family in Colombia. See the individual family you are currently helping. Care2.com: Care2 Race? - Sites support the rainforest, breast cancer research, pandas, and big cats at top environmental charities. Causeanaffect.org - Raises funds for victims of natural disasters. Each sponsor pays for 1/4 of a meal packet; there are currently four sponsors. Clear Landmines - Each sponsor pays for clearing 21 cm2 of mine infested terrain. Click for United Way! United Way of Canada; supports a variety of causes. Click FoMe - Seu click pode mudar uma vida. - Help Brazilian hunger. Click the planet - This isn't an English-language site, so I can't tell you how much you're donating. Click on the tree anyway, it can't hurt. DoMyPart.org - Search-to-donate. Convenient page includes movies, weather, financial news & stock quotes, yellow pages, people search, auction search. EcologyFund.com - aquiring land to preserve it for future generations. Registering adds to total donated and allows you to see your accumulated donation totals. End Homelessness Now - Click to make a free donation to end homelessness. Environment Site -Help reduce global warming by making a free donation to the Environmental Resources Trust. FreeDonation.com - Here you can click more than once a day, for a variety of categories. A click for hunger, for example, contributes 1/2 cup of food. The site is also educational, with facts and statistics on each donation topic. FreeRelief.net - Just going to the site generates donations to the American Red Cross disaster relief for victims of India's Gujurat earthquake. Give Us A Home - Donation link to send pet food to animal rescue shelters is at the very bottom of the page, keep scrolling. 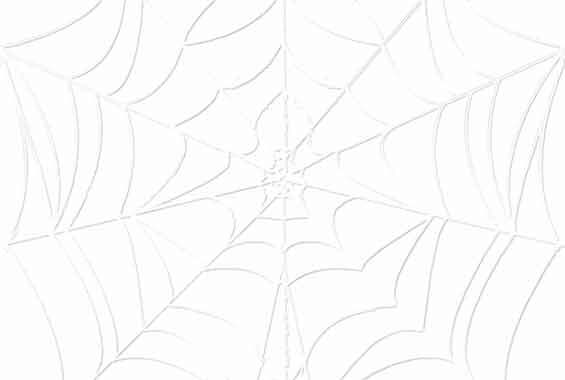 The Good Spider - A search page that makes donations. Help make a better world - Previous donations went to Greenpeace; second will go to hunger in Africa; third will go to Amnesty International. Help the Hungry - Currently $5 a click from philanthropist Alan Feinstein. The Humanitarian Site - Make a free donation to support international humanitarian volunteer work. Hunger Site - Make donations of food to hungry people while viewing an animated World Hunger Map. 8 sponsors provide a total of 1.3 cups of food per click. You can also shop, subscribe to newslatters, and do other actions to increase donated amounts. Registering adds to total donated and allows you to see your accumulated donation totals. Hungry Children - help a child, feed a child. I Want Clean Air - Raising funds for the Clean Air Conservancy. Land Care Niagara - Land Stewardship since 1995. Every 20 clicks plants one tree. MaterCare International LifeSaver - Help women suffering from obstetric fistulae, a complication of childbirth that causes permanent incontinence. Meals on Wheels - Help deliver home meals to senior citizens. Contributions are made only for purchases from sponsors. Planet-Save.com -- Save 5 square feet of rainforest with each email you send. PovertyFighters - 25 cents a click goes into a micro-lending program: interest-free loans to help people in poverty start independent community-based businesses. Rainforest Site - Back again! An animated display illustrates the disappearance of rainforests since 1990. Save rainforest land by clicks, registration, shopping, or visiting sponsors. Registering adds to total donated and allows you to see your accumulated donation totals. RedJellyFish.com - Donate land and feed chimps for free, then shop, play games, look up information. Requires registration. Royal Flying Doctor Service - Click through to the sponsors to increase the donations. Smiles4All - Send e-postcards, sponsors donate to a nonprofit of your choice. Solve Poverty - Creating jobs and providing education in impoverished countries. Stargiving - Donate for free and simultaneously enter lotteries to win celebrity sponsored prizes. You can donate without giving any information. To enter the raffle you have to enter contact info. Stop The Hunger! - Daily free sponsor-supported donation to help alleviate domestic hunger in the United States. Currently raising more food per click than the Hunger Site. Street Angels Africa - Helping the West African street children known as the Almudos. Tarahumara Children's Hospital Fund - Give a minute of free hospital care per visit. WeDid.net - Donate a click a day, to give free donations to one of seven causes. Wotch: Save Baby Harp Seals - Donate five cents for each time you send the page to a friend. Wotch: Save the Bears - Donate 10 cents, every time you send the page to a friend, to the Animals Asia Foundation to rescue bears confined in small cages and milked by catheter for their bile. Wotch: Save Endangered Orangutans: Donate 10 cents every time you send the page to a friend. Wotch: Save the Korean Pets - Donate 10 cents, every time you send the page to a friend, to save companion animals in Korea from illegal breeding and meat trades.